I'm back with another fall go-to outfit! It's starting to get chilly here which means the layers are coming out! A lot of people dread this weather but I kind of love it (until the snow hits). 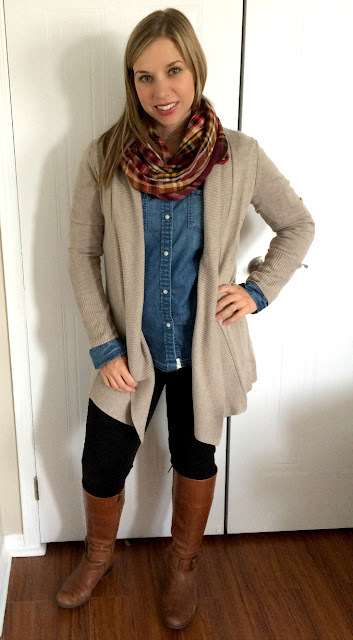 I love this outfit for being out and about running errands with the kiddos! It's perfect because if I get too warm, I can easily take off a layer. What pieces do you love layering in the fall?